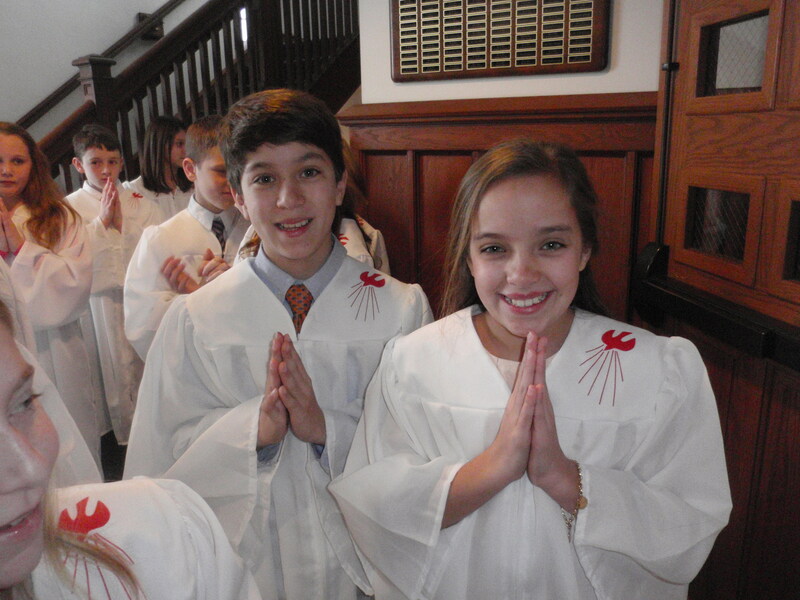 St. Patrick Parish was privileged to have Bishop Fitzgerald as the main celebrant for Confirmation on Saturday, February 18. Our 6th graders were very prepared for the day. 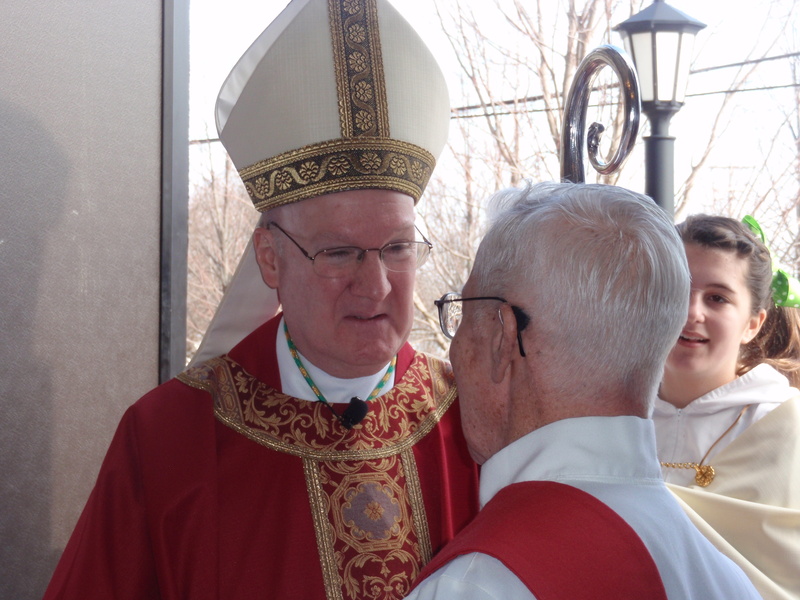 They looked beautiful and handsome, but more importantly, they reverently approached the Bishop as he blessed them with chrism. Bishop Fitzgerald spoke about how we are counting on these students to become strong Catholic leaders in our Church and in our society. He asked the whole congregation to pray for the gifts of the Holy Spirit as we all work towards spreading the Gospel Message of Jesus Christ. 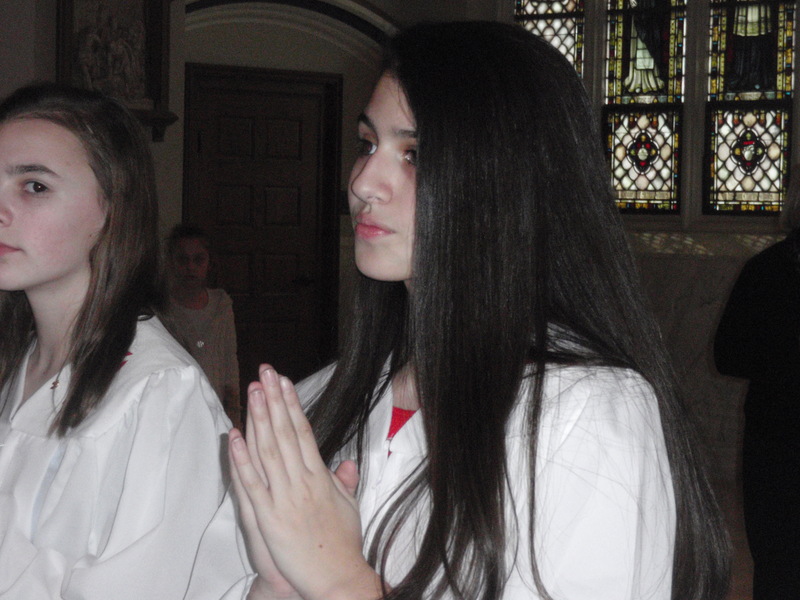 Ava prepares to receive the Holy Spirit. 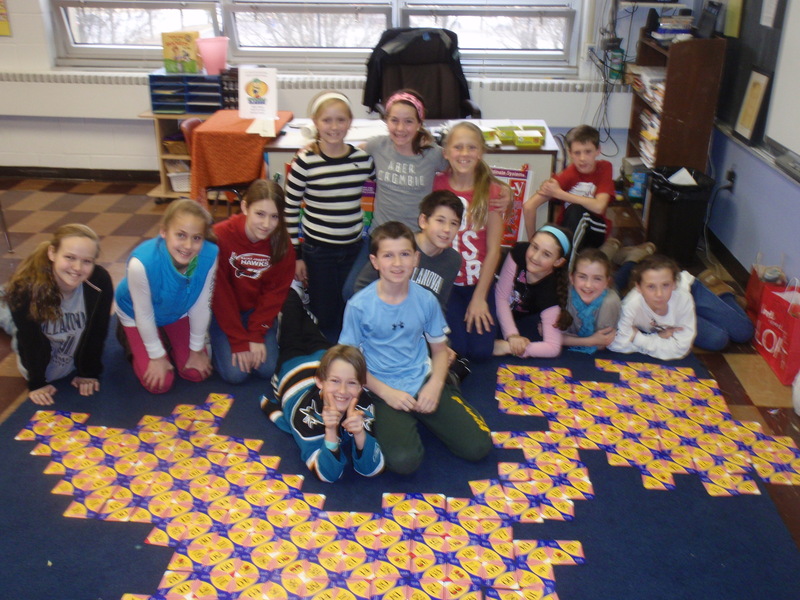 We have in our midst bright and brilliant 5th grade math whizzes. 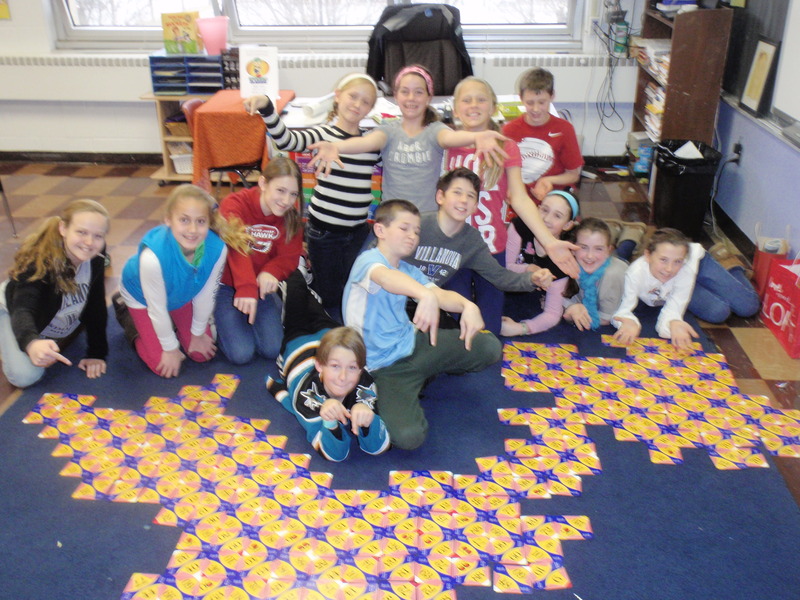 They have conquered the Math 24 game by using computation, creativity, and problem solving skills to correctly connect all the Math 24 game cards to one another. This might not seem like a big deal, but all 4 sides of the card had to match in order for the puzzle to continue – not an easy task! Congratulations 5th grade! Go Warriors! 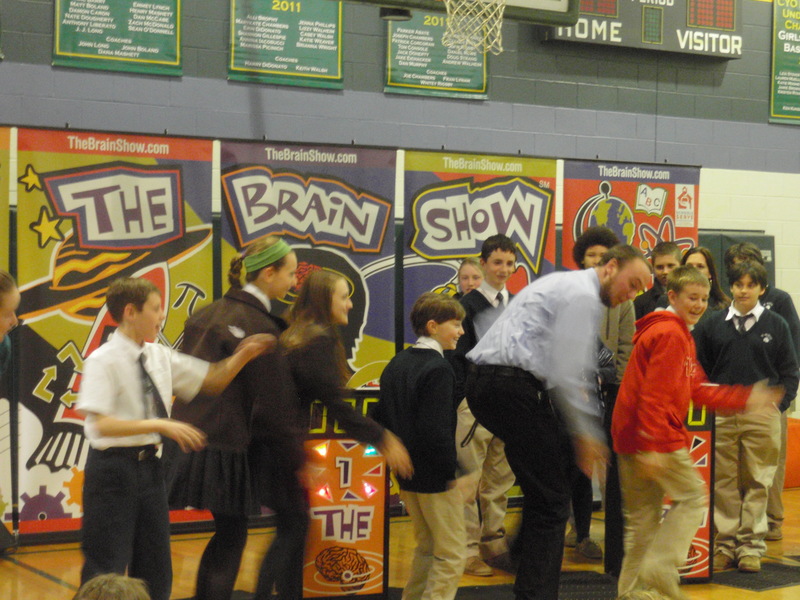 The St. Pat’s School community had a blast this afternoon at the Brain Show! 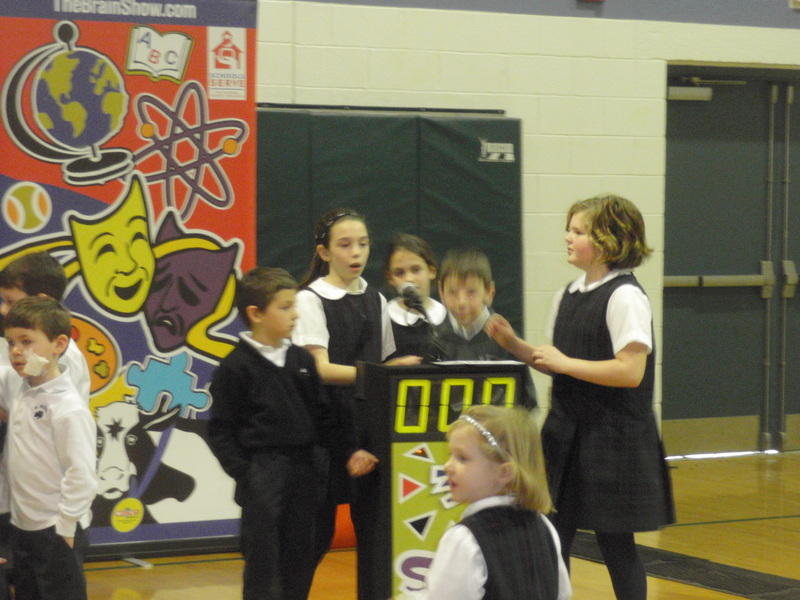 Contestants, SPS students, competed in teams of five. They had to answer questions about history, grammar, Foreign Language, music, religion and TV. 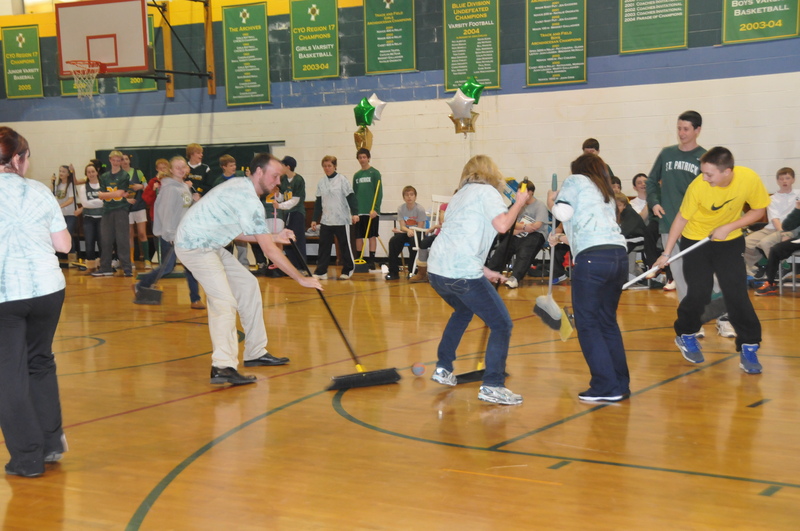 Even the teachers were involved with answering questions and showing off their dance moves. The Best Teacher Dancer Award went to Mr. Gilson for his creative dance steps! 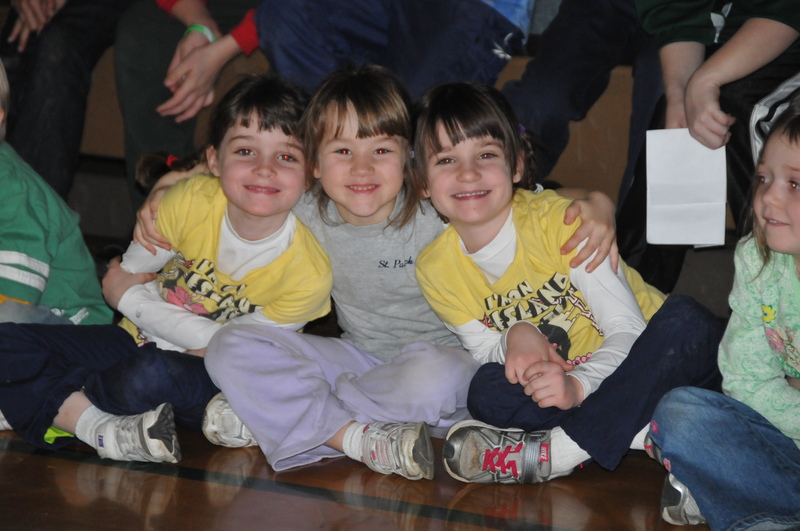 Thank you to our Home and School for providing a great afternoon of fun, dancing and even some learning! Go Warriors! Another team on the way to a win! Mr. Gilson and his smart dance moves! Wearing our St. Pat green and white! 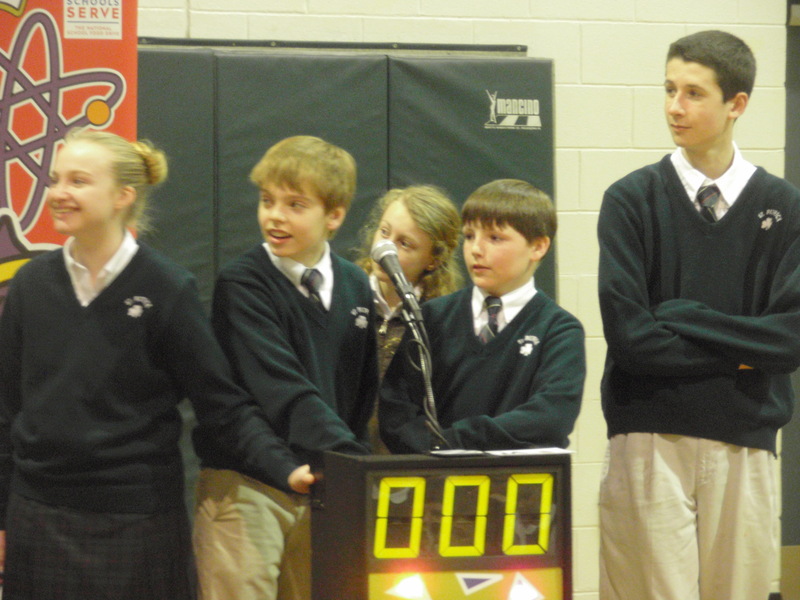 Catholic Schools Week continues to be a lot of fun here at St. Pat’s. 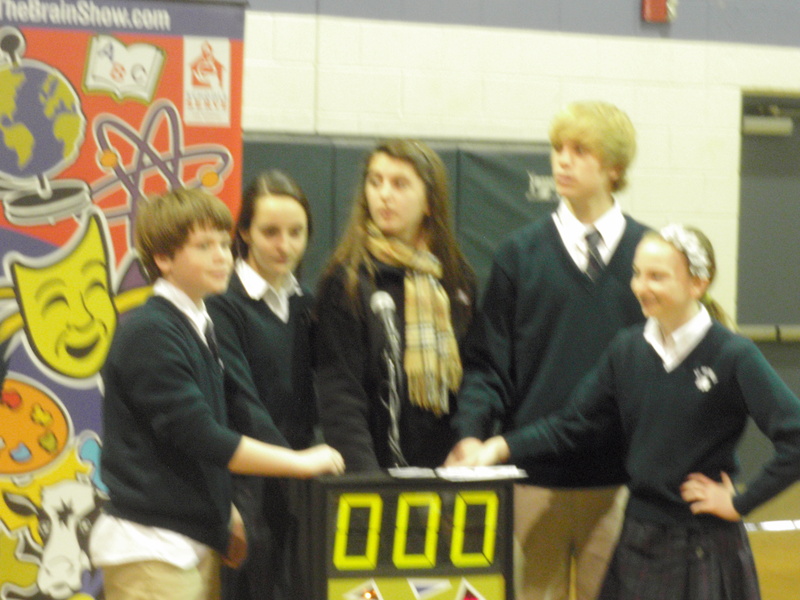 One of the highlights was the 7th graders putting on skits of all the teachers – amazing how they have us down to a tee! 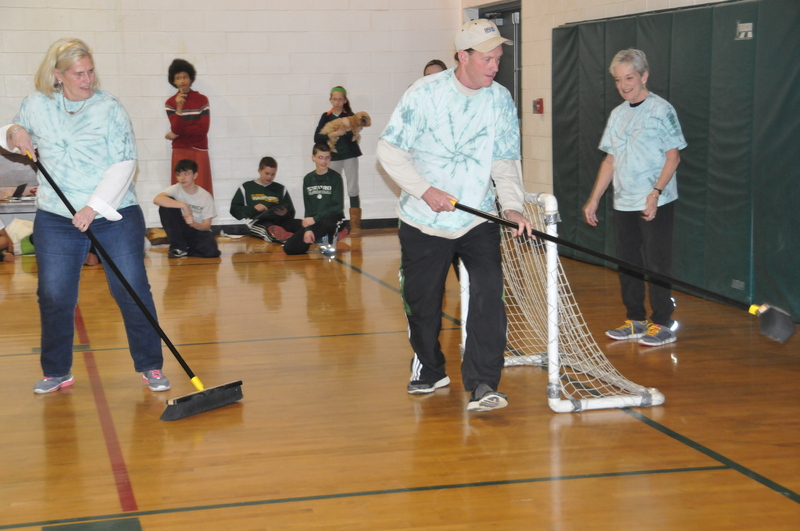 The faculty also crushed the 8th grade in broom hockey by a whopping score of 1-0. 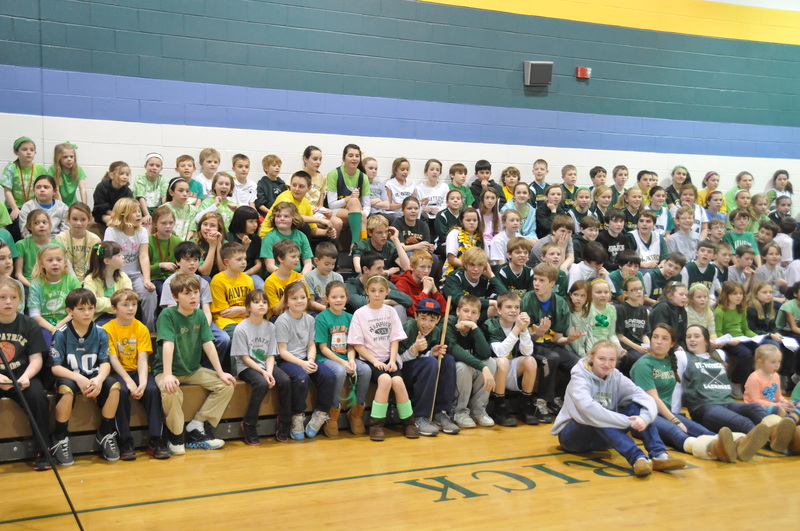 Warrior Pride and St. Patrick School Spirit is running high this week at St. Pat’s! Go Warriors!